I've been waiting for today, Morrissey Autobiography day, with the shared electric, anticipation of every other die hard Morrissey fan around the world. I'd placed my pre-order with Amazon but not willing to rely on an early morning delivery from Royal Mail, the lure was too much for me and I downloaded the Kindle version just after midnight. It's been nearly thirty years since I was first hypnotised by Morrissey's words. Defined by their impact, I cannot comprehend who I would be without them or how the lonely teenage years, shut in my room, with only his voice, would actually go on to form the basis of so many of my adult friendships. Like minded souls, drawn together by our mutual love for the enigma that is Morrissey. "Miss Redmond is ageing, and will never marry, and will die smelling of attics." I read through most of the night, unable to put it down. For the first time, the tale really was told and not fabricated or sensationalised as it had been in previous un-authorised biographies. I felt some of the Smiths magic fall away as I was forced to consider, for the first time, what had gone on behind the scenes. Rough treatment from Rough Trade and Morrissey's dislike of the released versions of many of the tracks I love. There may be more to life than books, but not this one. 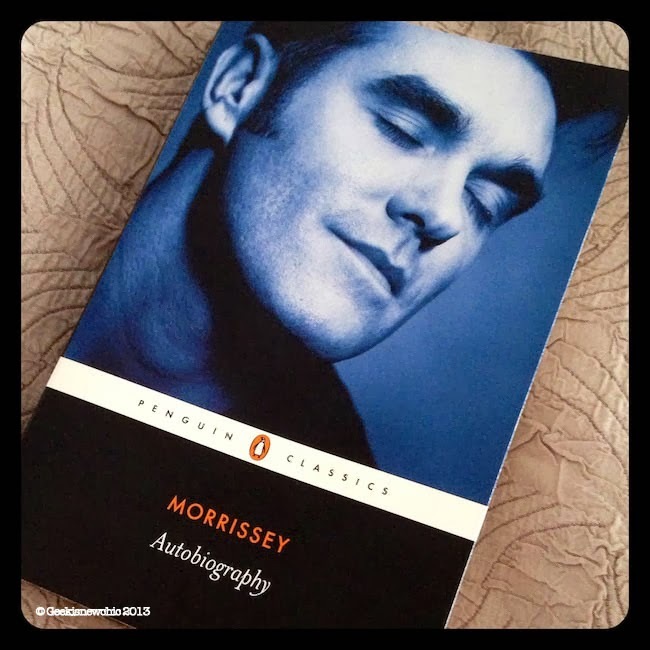 Well written and beautifully crafted, Morrissey's Autobiography firmly deserves its place as Penguin Classic. Buy it, lose yourself in it, then go listen to your favourite Smiths album - on vinyl, as you read it again. I'll leave you with Well I Wonder, an understated masterpiece of that Morrissey & Marr magic that changed so many lives.